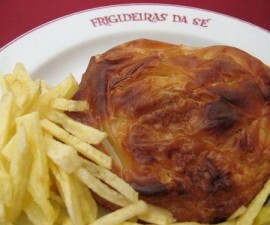 As Portugal’s oldest city and its third largest, Braga is full to the seams with historic attractions. The ancient architecture, ecclesiastical traditions and historical monuments render the city almost a living museum to the country’s rich cultural heritage. Deciding which attractions to visit is not always easy when there are so many to choose from, so we have put together a guide to some of Braga’s finest to help you along your way. Perhaps the most famous of Braga’s attractions to visit is the Cathedral. Built in the 12th century, it has undergone many decorative and architectural changes throughout the intervening hundreds of years, providing us with a mixed feast of styles that cannot fail to captivate. The north façade is one of the most photographed buildings in the city, with its domineering triple-arched design flanked by two smaller Gothic arches to each side. Atop the façade are two matching bell towers and a large statue of the Virgin and Child and another of Our Lady of the Milk in highly decorative Manueline style. Henri de Bourgogne, who built the Cathedral, and his wife, Dona Teresa, are buried inside in the Chapel of Kings, while other items of interest in the interior are the enormous gilded organs that date back to the 18th century. Leaving the cathedral behind, the Casa da Roda makes another interesting stop on your tour of Braga’s historic attractions. 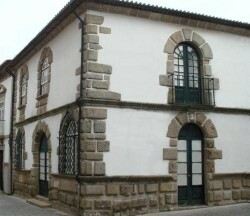 Built in the 16th century, this was Braga’s last orphanage. It was bought by the City Hall in the late 19th century and designated as a Building of Public Interest. The Casa da Roda is interesting for its unique architectural style, reminiscent of the Florentine style from the renaissance period, and for the fact that it was constructed using materials from former buildings. 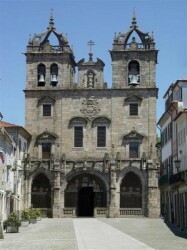 Today it is home to the Parish Council of Sao Joao do Souto and to a popular youth association, the Jovens em Caminhada. No trip to Braga would be complete without a stop to admire the Arco da Porta Nova. The main entrance gate into the city, the Arco da Porta Nova was built in 1512 during the heyday of Archbishop D. Diogo de Sousa and was reconstructed in 1772 in its present form to a design by Andre Soares da Silva. It was designated a national monument in 1910. 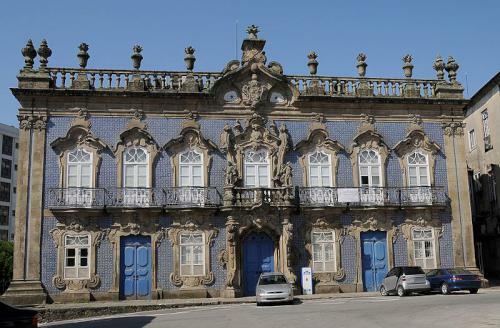 Baroque architecture is the order of the day on some of Braga’s most famous landmarks, and the Raio Palace is one of the most eye-catching and impressive examples of it. 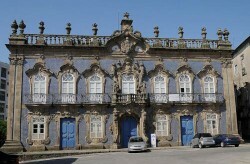 The Raio Palace was constructed in 1754 as a private residence for Joao Duarte de Faria, an influential businessman in the city, to a design by Andre Soares da Silva. It is notable for its hugely ornamental façade and its fine-grained granite interior. As Portugal’s oldest city, Braga offers architecture and attractions dating back not just hundreds, but thousands of years. Juxtaposed amongst the impressive baroque buildings and more contemporary designs are some impressive Roman remains that cast a light on Braga’s long and distinguished past. The Idol Fountain is one such monument, located close to the Raio Palace on Rua do Raio. 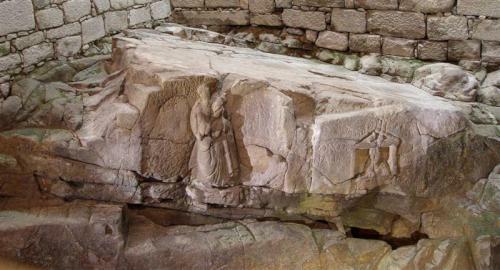 The Idol Fountain is thought to date from the first century BC and boasts inscriptions and sculpted figures in togas within a natural granite outcrop. The fountain is located close to an area whose architectural remains indicate that at one time it probably formed a part of a Roman temple complex. 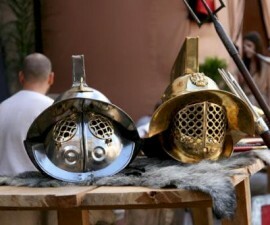 More Roman remains are to be found at Alto da Cividade, where excavations in 1977 uncovered the remains of a Roman spa, close to the Forum of the ancient Roman city. The spa appears to have consisted of a collection of several buildings, each of which served a different purpose within the Roman bathing rituals. 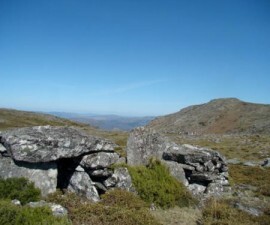 The remains of four of the first-century hot rooms can be found at Alto da Cividade today, along with the remains of further areas which appear to have been added or remodelled sometime during the third century. To take your journey even further back in time, the Pre-Roman Bathhouse, back in the centre of the city, is well worth a visit. Located in the railway station, the Pre-Roman Bathhouse was discovered during the excavation process for the new station. It consists of a 4m x 2m area that was divided into three areas: a sauna/steam room, a kiln and a transitional area in between. As was typical in buildings of this period, it was located semi-embedded beneath the ground. The flagstone walls are now showcased as part of the station building.